The cloud computing services from Amazon, Microsoft and others make it possible for businesses to access a virtually unlimited amount of compute power for their applications. What’s hard, however, is to orchestrate all of the distributed infrastructure, provision the right instances and to maintain these setups. 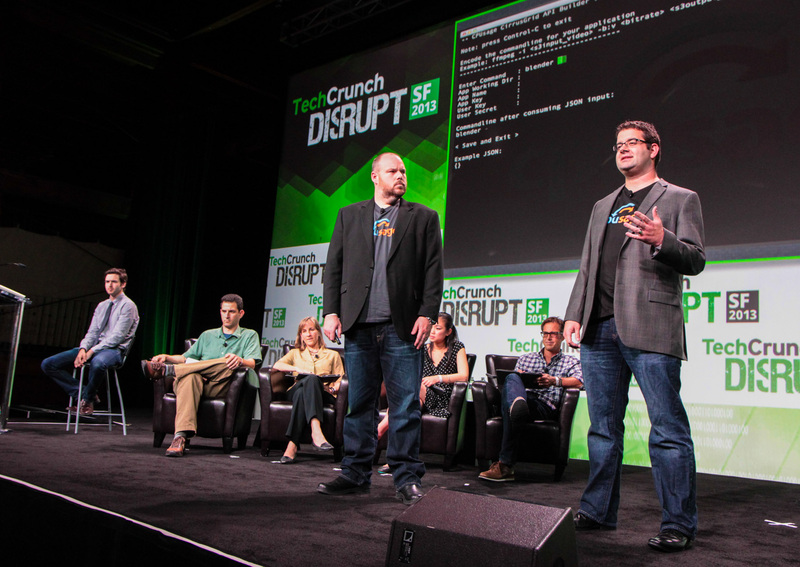 Portland, OR-based startup CPUsage, which is launching at TechCrunch Disrupt SF 2013 today, wants to turn compute into a utility in order to help developers, scientists and researchers to use high-performance computing in the cloud without the need to spend months on setting up their infrastructure. As CPUsage’s co-founders Jeff Martens and Matt Wallington told me, the idea behind the service is to allow anybody to take their existing applications and then allow them to run on virtually any cloud computing service available, whether that’s AWS, Microsoft’s Azure or one of their competitors. That’s still in the future, though. What the company is launching today is support for AWS, with support for Azure and Google’s Compute Engine coming by the end of the calendar year. All of this sounds very technical, but it solves a real problem for many businesses that rely on high-performance computing in the cloud. As Martens noted, a biotech company he talked to often has to analyze up to 100 million molecules per week for the big pharmaceutical corporations that are its clients. That’s a highly compute-intensive job that can take up to 8 million hours of compute time in total. To do that, the company spins up thousands of cloud-based compute instances, but it took them months to build the infrastructure and write their own app-specific APIs and job status dashboards to run these. Then, once everything is in place, it can take another couple of hours just to get everything up and running for this batch of molecules. With CPUsage, Martens argues, it would take them fewer than 20 minutes to create the same kind of setup. While getting started with the service isn’t trivial, it should be pretty easy to do for most developers. CPUsage essentially sets up a sandboxed server (which could run any flavor of Linux and development environment) and the user then logs into it and installs the application. Then, CPUsage’s API builder takes over and creates a custom API that the developers can then hook into to submit the compute jobs. Once the job runs, users can monitor it through a dashboard, and the company handles everything from ensuring fault tolerance to job orchestration and the networking between the instances. Because the company buys AWS compute instances on the spot market, it’s able to offer this service at what is essentially Amazon’s regular on-demand pricing, starting at $0.06 per hour per instance for Amazon’s M1 general-purpose tier. Given that different projects have different CPU and memory requirements, the service also works with Amazon’s higher-powered (and more expensive) high CPU, high memory and combines high CPU and high-memory instances. So far, CPUsage has raised $925,000 in venture capital. The company’s funding round was led by Morado Venture Partners, with participation from Crosslink Capital, Demian Sellfors, Qbera Ventures, and Triplepoint Ventures. In its first incarnation, CPUsage actually wanted to harness unused compute power on PCs, similar to what the SETI project is doing. What the team realized, though, Martens and Wallington told me, was that they didn’t want to compete with AWS and instead make these kind of cloud compute services easier to use. In the long run, though, the team wants to pick up on this idea again and see if it can make it work. Starting today, CPUsage is open for business in public beta and the company expects to add more tools and support for additional cloud computing vendors in the coming months. Q: Building something this aggressive and expensive takes a top team. What does your team look like. Q: What’s so magic about what you are doing. A: What’s geeky about what CPUsage does is that it makes distributed compute easy to use. Q: How do you convince the IT folks? A: They are already spending a lot of money to compute in the cloud. These businesses want their researchers to be able to run their applications without having to go to IT. Q: Isn’t this just a very thin layer on top of the cloud. Isn’t this easy to replicate? A: There’s only a small community of experts that can build this. We also only go after the high-performance market. For us, large-scale is 1,000 instances, not 20. Q: When will Amazon just do this itself? Why aren’t they doing it? A: They want to focus on the infrastructure and not on building these kind of tools.